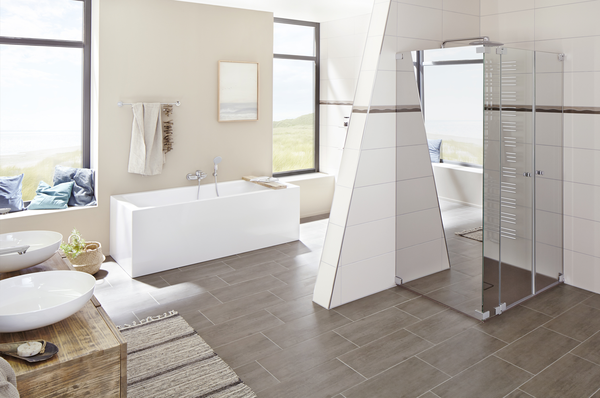 Soak up some inspiration from our dream bathrooms and get some ideas for your own! 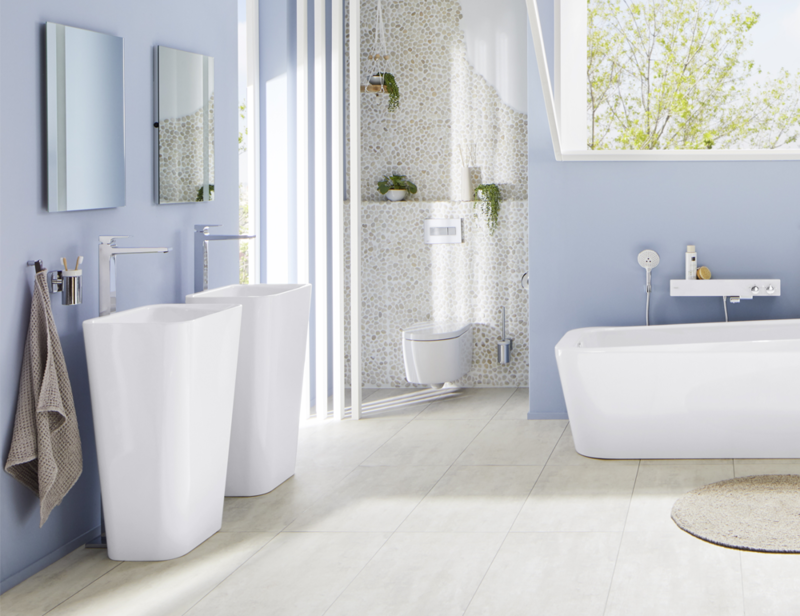 Discover a bathroom idea that brings the ocean right into the room. Light, warm wall colours reminiscent of sand and mother of pearl make the light-flooded space seem even bigger. Clean lines provide natural elegance. A dream bathroom where you can virtually hear the crash of the waves and the screech of gulls. Nautical charm meets upmarket design. 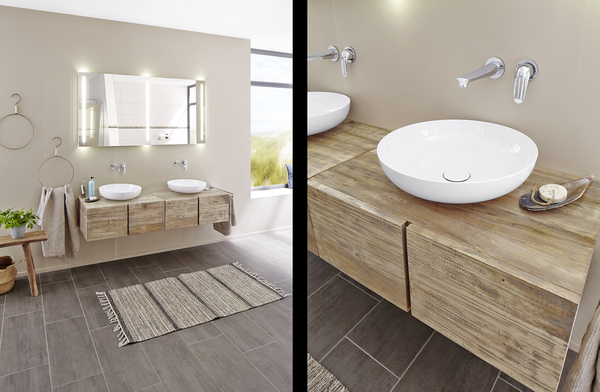 The delicate MIENA washbasin bowls on a wooden base round off the natural design in a special way. An invitation to dream: The MEISTERSTÜCK CONODUO bathtub with its unique design by Sottsass Associati accentuates the sense of harmony in this bathroom. 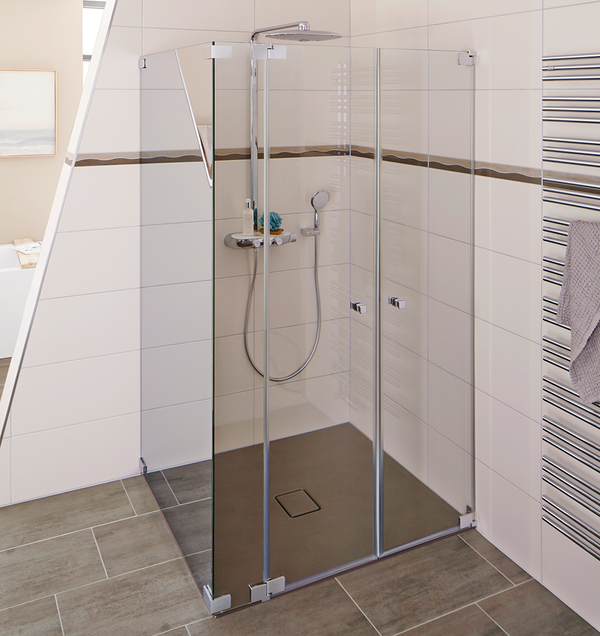 The floor-level CONOFLAT shower surface in one of the Coordinated Colours – Maple Brown Matt – matches perfectly with the colour of the tiles, giving the floor a truly distinctive look, and entirely without unattractive joints.